How can you differentiate the best sign companies in Toronto from the rest? It’s simple: they not only provide top quality, durable and custom outdoor signs for your business but just as importantly, they give you advice and guidance that help you connect with your customers — and ultimately drive sales, revenues and profits. Keep messages short, clear and focused to engage drivers who may be passing at high rates of speed. If applicable, add a human element such as a picture of a person. Effectively use high contrast for both text and color. Ensure that signs are visible from multiple vantage points. Place signs in high-traffic areas (foot and/or vehicle). Note that there are certain bylaws regarding outdoor signage. As a leading sign company in Toronto, you can be assured that we know and follow all the rules. Make signs as large as possible given the space available and visibility requirements. Add a call-to-action that guides potential customers to take specific action. While images and logos are important, lean towards simpler designs vs. complex ones. Signs without borders tend to be more effective than signs with borders. While all these best practices are beneficial and proven, it is important to note that we view each client as unique — and as such, what is suitable and effective for one client may not be right for another. For example, it may be wise for a business in the B2C space that is targeting homeowners to include an image of a happy family on their outdoor sign. Alternatively, a business in the B2B space that provides consulting services may be better off choosing a more conventional corporate image, such as business professionals shaking hands. Again, these are just examples and we provide specific recommendations based on the unique needs and goals of each client. 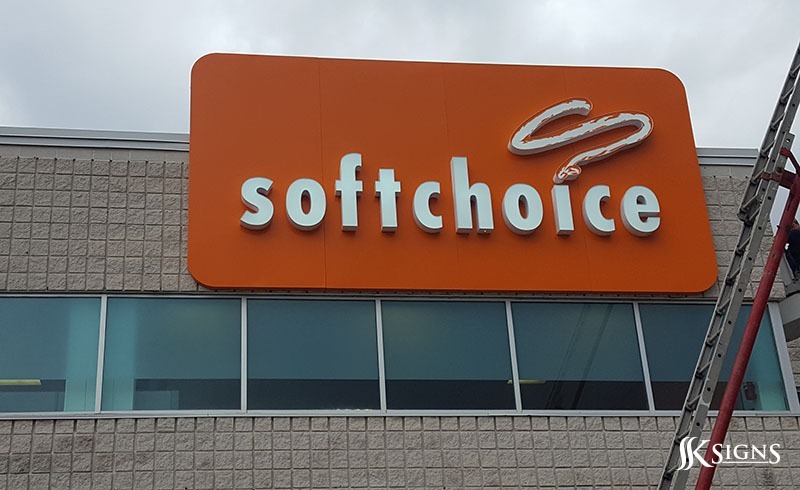 To learn more about how we can help your business use outdoor signs to drive engagement, contact our team today by calling 905.282.2225 or emailing [email protected] Discover why we are widely considered one of the best sign companies serving Toronto and the GTA!